What are the risks involved in having Dental implant surgery at Thailand? A Dental implant is a metal fixture that is inserted into the jawbone as an anchor for an artificial tooth. Dental implants provide you with greater comfort and they work well both aesthetically and functionally. Thus, they have become the most preferred option for teeth replacement. However, they are high priced in Australia because of the complexity of the procedure and the required expertise. Therefore, some people choose to get low cost dental implants in Thailand. A health travel service reports that, 75% of the clients they have sent to Thailand in 2011 were for attaining dental work. Most people lack dental insurances and would like to save money by going abroad. Dentists in Thailand are readily available to serve you and you don’t have to be waiting long for your appointment. Dental tourism can also be used as a relaxing experience by making most out of the time of your stay on touring the city or country. But they fail to understand that more complex the procedure is, the more likely that something might go wrong. Especially a dental implant failure can cost you a lot in the long run. You cannot be sure about the training and experience of the dentist available there. On the other hand, it is easy to identify the expertise, qualification and certification of Australian dentists. You cannot file a complaint against your foreign dentist in Australia as its regulations are not applicable to them. 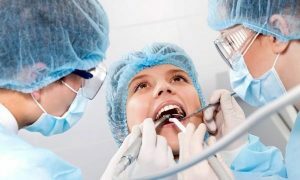 The Australian government has imposed various rules regarding the dental care, which are meant for the safety of the patients. You cannot expect the same dedication from the authorities of Thailand. Dental implant is a risky procedure, which may require many check-ups later in case of any complication. Most people cannot afford travelling to and from Thailand several times. If your dental implant surgery fails, getting it corrected and redone in Australia might cost even more. Even in Thailand, Dental implants are not done in a single appointment. You would need to visit your dentist at least 2-3 times before you can enjoy the benefits of your new teeth. Along with the clinical fee, you would lose money on travel, residence and time-off work. Other than this, there are clinics that offer affordable dental implants in Australia. Therefore, make time and research well before jumping on the next plane to Thailand. This entry was posted in Dental Implant Surgery. Bookmark the permalink.